Tot up the extras and a Saga Cruise is a real bargain. 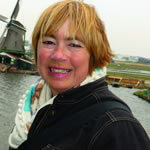 Once guests have cast off with Saga Cruises for the ﬁrst time on a high seas adventure, they’re very likely to return. Indeed, 99 percent of passengers rate their cruise experience as good or excellent. I have sailed many times on both of their current ocean-going ships – the contemporary Saga Sapphire and yacht-like Saga Pearl II – and I’m looking forward to joining the latest star attraction to the ﬂeet, the Spirit of Discovery, when she launches in 2019. I understand only too well why passengers want to come back, and much of it is down to attentive service from the friendly and professional crew, excellent dining, comfortable cabins, must-see itineraries and most important of all – value for money. At times, the starting price for Saga Cruises may appear more expensive than other ships. Yet if you read the small print, I’ll bet my bottom dollar (or pound, as Saga ships have sterling on board), that most other cruise lines don’t cover the same all-inclusive extras. For a ﬂying start, expect you and your luggage to be collected in style from your front door in a chauffeur-driven car and taken to the ship, whether docked at Dover, Portsmouth or Southampton – as long as you live in a 250-mile radius of the port. There will even be bottles of water included and comfort stops en route. On a recent mini cruise, we were picked up from our home address in Yorkshire and taken all the way to Dover and back. If you live further than 250 miles away (like my Scottish relatives do), you’re offered free car parking at the port or coach or rail travel instead. During our cruise on board Saga Pearl II to the Continent last summer, many passengers were savvy enough to buy bargain booze while they were in France as they knew they would not have to worry about transporting it home. How’s that for extra hidden value (which may become even more of a saving post-Brexit)? All visas and porterage costs are covered for British residents, while other essential items such as travel insurance are included (or a reduction offered if not required). There are unlimited tea and coffee, as well as no charge for 24-hour room service – handy when you want an early breakfast before a tour or a quiet night in after a busy day sight-seeing on shore. Afternoon tea is always a highlight on board Saga ships, with a very tempting array of sandwiches, sausage rolls, savoury snacks, scones and freshly-baked cakes and no matter how high you pile your plate, or go back for seconds, there is still no charge. No cost either for bottles of water for onshore excursions, the shuttle bus from town (if the ship is berthed more than 500 yards away), or even the Werther’s Originals that are freely passed around on coach trips. 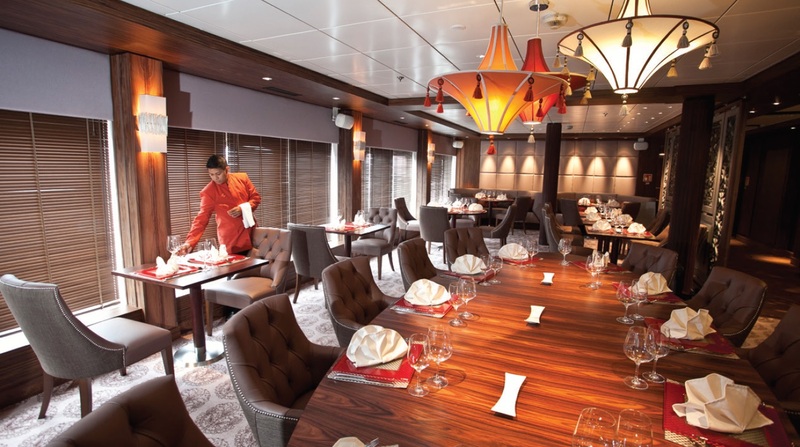 There is no extra charge for speciality dining in the East to West restaurant on Saga Sapphire. 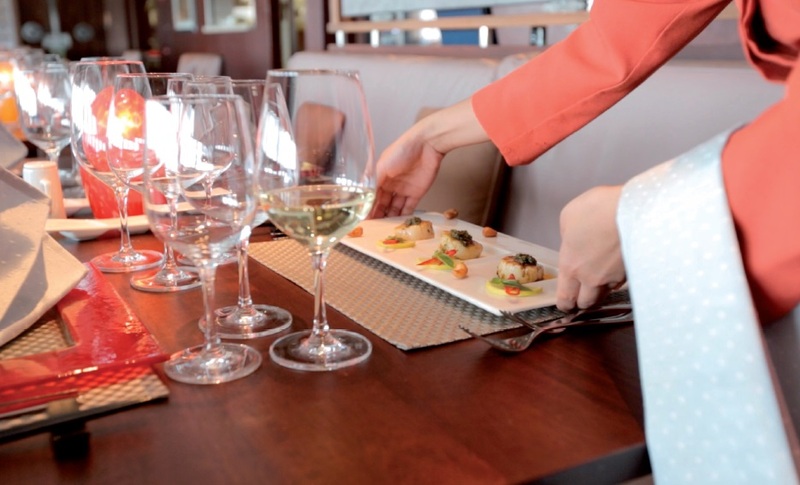 All meals are included on board, as well as free-ﬂowing wine, beer and soft drinks during lunch and dinner. All meals are included on board, as well as free-ﬂowing wine, beer and soft drinks during lunch and dinner. Drinks at the bars aren’t pricey anyway and as everything is in pounds and pence, there are no nasty currency exchange fees. 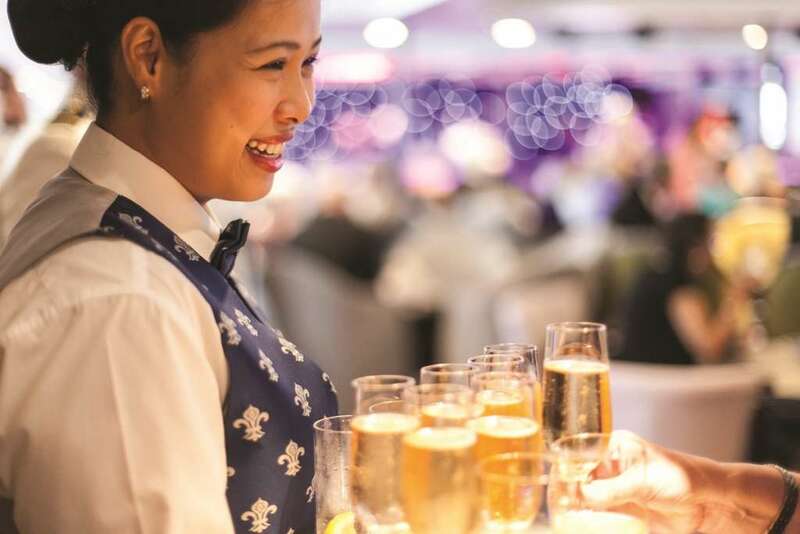 No set service tips are added to drinks (sometimes as much as 18 per cent is charged by other cruise lines), while gratuities are also included – a huge saving in many cases. Even the on-board Wi-Fi is freely available (often extortionate on other ships) so that you can keep in touch with relatives and friends. All of the activities and entertainment on board are also free and there is a great programme of daily events from cooking classes and exercise sessions to deck parties and comedians. So, all there is to pay for are any shore excursions you choose to book, spa or beauty treatments, gifts and drinks outside of mealtimes. There is peace of mind, too, in that no fuel supplements or charges are guaranteed. If you have been on board another cruise line recently, sit down and add up exactly how much your holiday cost you by the time transport to and from the ship, insurance, shuttle bus fees, specialty dining, gratuities, drinks with meals, visas, porterage, teas, coffees, afternoon teas, room service and Wi-Fi have been paid for. Which cruise line comes out on top? Of course, in order to take advantage of Saga Cruises’ fabulous fares, you need to be aged 50 or over – although you are welcome to accompany another passenger of that age group if you are at least 40. As an extra incentive, there are special savings for early bookings, while the Saga Price Promise means that if the cost of your cruise is reduced at a later date, Saga will work out the difference and pass the saving back to you. If you don’t love your ﬁrst Saga cruise, Saga will refund your fare! This unique opportunity means you can try a cruise with the absolute conﬁdence that, if it isn’t for you, we’ll not only get you home but will also give you back the full amount you paid. So, book any cruise aboard our award-winning ships Saga Sapphire and Saga Pearl II sailing from April 2017 to March 2018, and if after the ﬁrst few days you’re not enjoying the fantastic amenities, ﬁrst-class cuisine and attentive service, we’ll ﬂy you home and arrange a refund.